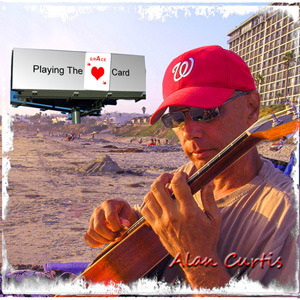 Songwriter and producer Alan Brian Curtis has had a rich career working as a songwriter, vocalist, guitarist and guitar synthesist. He’s also an avowed beachnik residing on the island of Oahu, HI. The natural beauty that abounds in every direction provides a continuous source of inspiration for him. Alan’s immediate plans are to continue learning to love God with heart, mind, soul, and strength and to love neighbor as himself. He is very excited to have an opportunity to bless others through music. From the most remote archipelago on the planet, he is able to broadcast his music to the remotest parts of the planet and everywhere in between. The irony is not lost on him.